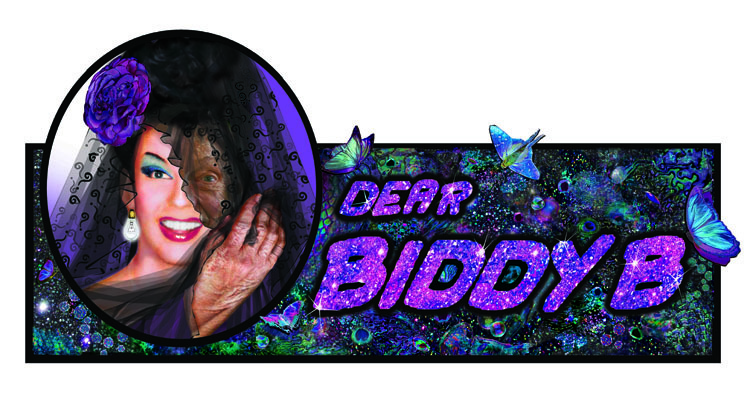 Biddy B – Mr. James Bidgood’s advice columnist friend, is back, just in time for spring, with some corrections to her last column and a rollicking story about bumps and grinds that ultimately results in the discovery of a long lost piece of artwork! It’s wild and strange, but very entertaining, as usual! – ed. First off allow me to apologize for the misspelling of Mrs. Blatourbotum’s name in my column of last month. Her brief disappearance necessitated my hiring a temporary amanuensis, a Miss Harriet Johnsons. I assumed when she gave no explanation for this plurality perhaps she merely entertained a preference for more than the one Johnson. Indulge me now whilst I momentarily play the punster but she hardly seemed the type to be a typist. Neither she nor does any other person have the least notion why for a second career she selected desk duty after forty two years performing as an ecdysiast, a profession she was made to abandon due to injury incurred trying to keep up with the tsunami of competitors amongst those currently popular female vocalists. This week in Art and Autobiography, we’re beginning a new feature, asking some of our favorite visual artists to explore the autobiographical nature of their work. First up, New York-based artist Jared Buckhiester, whose drawings and sculptures often recall faded snapshots of awkward teenage moments. 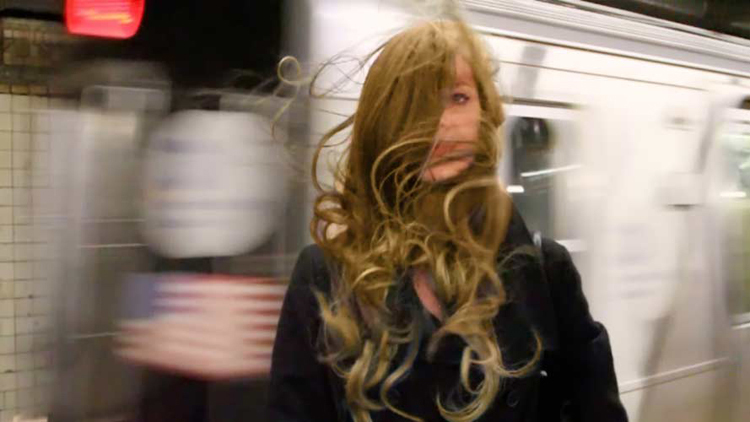 New York, NY (March 12, 2012) – Music Box Films announced today that the company is acquiring all North American rights to KEEP THE LIGHTS ON, the latest film from Ira Sachs. The film premiered to critical acclaim at the 2012 Sundance Film Festival. Subsequently, at the 2012 Berlin International Film Festival, it received the Teddy Award, the prize for the best film with an LGBT theme. In his autobiographically inspired, fictional relationship drama KEEP THE LIGHTS ON, filmmaker – and recipient of Sundance’s Grand Jury Prize in 2005 for his film FORTY SHADES OF BLUE – Ira Sachs chronicles the emotionally and sexually charged journey through the love, addiction, and friendship of two men (portrayed by Thure Lindhardt and Zachary Booth). The film was produced by Sachs, Marie Therese Guirgis, and Lucas Joaquin, and the stellar supporting cast includes Julianne Nicholson (HBO’s Boardwalk Empire), Souléymane Sy Savané (GOODBYE SOLO) and Paprika Steen (APPLAUSE). The film will screen at the 2012 Tribeca Film Festival next month. Written by Sachs and Mauricio Zacharias, KEEP THE LIGHTS ON is an honest, unflinching portrait of a relationship between two men in New York City. Despite meeting through a casual sexual encounter, documentary filmmaker Erik (Lindhardt) and closeted lawyer Paul (Booth) find a deeper connection and become bonded in an almost decade-long relationship defined by highs, lows and dysfunctional patterns. Through it all, Erik struggles to negotiate his own boundaries and dignity and to be true to himself. The deal for the film was negotiated by Marie Therese Guirgis (Producer of Keep the Lights On) and Kevin Iwashina (Preferred Content), with William Schopf, president of Music Box Films. Terrific news! The Tribeca Film Festival announced today that Keep The Lights On will have its official New York premiere in the fest’s exciting Spotlight program. After thrilling screenings at the Sundance Film Festival and the Berlinale, Ira Sachs’ Teddy award-winning new film about a troubled relationship will finally be screened in the city where it takes place! The Tribeca Film Festival takes place from April 18 – 29th. And on the other side of the world – if you happen to be in Hong Kong, KTLO will screen at the Hong Kong International Film Festival on March 25th, and April 8th. More festival screenings to be announced soon, so keep checking back! I’ve maintained for years that there’s no greater misery for the average New Yorker than getting to the subway platform, racing down as you hear the train coming, and arriving on the platform to see the doors shutting just as you approach. Neil Goldberg shares my fascination with this particular moment, having secretly photographed many people at the exact moment they realized they would not be getting to their destination on time. Last week at the Museum of the City of New York, “Stories the City Tells Itself”, a show of Goldberg’s work opened, including the subway platform photographs, and other works documenting the mundane and everyday sights familiar to anyone who’s lived in New York. Goldberg’s work is also featured in Keep The Lights On, a film also to a large extent about the rhythms of daily life in New York City. The show runs through May 28th, so if you don’t make the subway in time, don’t fret.